Our contributor Jen is just a little ahead of me in the moving process – which means I’m taking serious notes on the wisdom she’s dishing out below. Hopefully there will be photographic evidence of my own progress in the months to come. In the meantime, read on for some great tips on where to spend and where to save on storage containers. After recently packing up our lives and moving to a new home across the country, I’ve assigned myself the task of overhauling and reorganizing our belongings (both a blessing and a challenge). It’s an incredible amount of work, because we all know organizing = time. It’s also a great opportunity to restructure our stuff in an organized system that works for us and our new house. If there’s another word that organization should be synonymous with, I would say it’s “storage”. You simply cannot create an organized system without sufficient storage vessels. So, one could say that organizing = time = storage, which also = money. There are, of course, other things I can throw in there like “planning” and “creativity” but let’s focus on time and money. It would be nice to save some of each of these commodities, wouldn’t it? 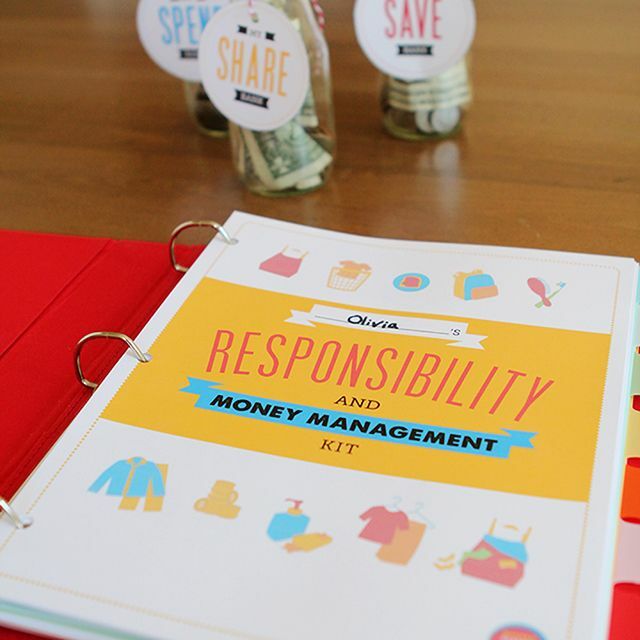 Hopefully this useful guide will give you some insight as to where and how you should spend your organizing dollars! The age old adage “you get what you pay for” is true for most things, including household storage. Generally, the more you invest in a storage system, the longer it will last, and the more times over it will pay for itself. That said, there are certain storage items that can easily be scrimped on while others are definitely worth a splurge. I have always been torn on this one, because generally if you spend extra money at the start on high quality storage containers, your food will stay fresh longer, effectively saving you money (says the person with the dollar store pantry). That said, I have over 90 containers in my pantry (oh yes I do! ), and could easily have spent $1500 in jars alone if I weren’t trying to outfit it on a budget. I am lucky to have excellent options at my dollar store Dollarama, however discount stores aren’t the only place to find a deal. You might spend $3- $10 a jar if you head to Ikea, but it’s certainly better than $15- $20 per jar that you could spend, and the containers are often just as good quality. For my dollar store containers, I haven’t had an issue yet with freshness in the year and half I’ve used them, but I do go though my dry ingredients quicker than most. Don’t forget that the most affordable and eco-friendly options are often free up-cycled glass jars such as mason jars and pasta sauce containers. I’ve found the white and clear plastic bins at the dollar store or ordered online tend to be just as sturdy as ones at the big box stores for less than half the price. Great for: organizing out-of-sight places like under the sink, storing cleaning supplies, wrangling odds and ends, grouping canned and boxed pantry items, etc. It’s hard to beat the under shelf basket for efficient and affordable storage. It makes excellent use of otherwise under utilized vertical space and, for a buck or two, you can buy extra to keep on hand for when you need some space. I also love inexpensive pot lid dividers that are great for organizing cutting boards, cookie sheets, and of course pot lids. No need for a pricey divider when the discount version does the same thing. Yes, I put pantry containers on both the save and splurge lists. At the end of the day, you need to assess your personal pantry situation and decide whether or not it is worth it to you to invest in some higher quality pieces. If you have minimal dry ingredients to store, it might not be as big of a hit on your bank account to invest in a pack of 10 containers, so in this case, I say splurge. Also, if you rarely cook or bake but want to have the ingredients around and fresh for the off chance that you do, then again, I say splurge. I can’t vouch for the air tightness of all discount containers, and for that reason, better safe than sorry. Woven, wood, plastic, fabric and wire baskets that get quite a bit of use, such as storage for linens, clothes, and toys, are worth investing a little more in. They will outlast the cheap ones, and the nicer they are to look at, the more likely you are to keep using them. Let’s face it, pantries and cabinets work hard for their money. They house a slew of heavy food products, expensive dishes and small appliances, so this is where I say spend don’t scrimp. Protect your stuff and your sanity by outfitting pantries and cupboards with good quality interior fittings, slide out shelves and organizers. I curse the cheap white ventilated shelving that came installed in our new home’s pantry every single day. It bows under the weight of my jars and I’m just waiting for the day it all comes tumbling down. If you are building or re-doing a pantry, I highly recommend solid surface shelving and as many roll our shelves as you can afford! Organization is so heavily impacted by storage that if your choice is temporary storage over none at all, then use your temporary solutions and save for the future investment into more permanent options. Your organization system is just that, yours, so make sure it works for you! Where do you like to splurge or save when organizing? 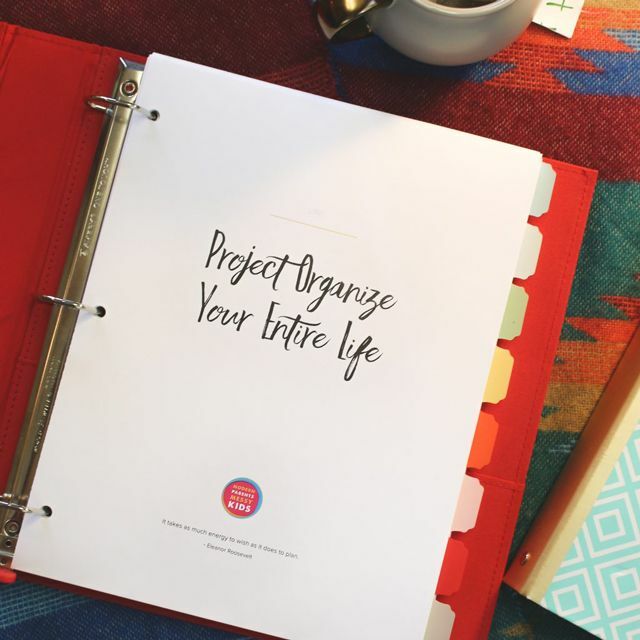 This post is part of MPMK’s “Project Organize Your ENTIRE Life”. You can read all about it here, check out all of our online projects here, and join thousands of POYEL facebook group members here. Jen puts her passion for organizing to work creating functional household labels for the home she shares with her husband and two mini-dachsunds. You can find her sharing her love of home decor and organizing, as well as designing labels, at The Social Home.